This week in our series of profiles on this year’s resident ensembles at June in Buffalo, we are delighted to introduce Ensemble Mise-En. The ensemble is a flexible NYC-based collective of young performers, founded in 2011, whose name originates from two Korean words—“‘mee ,’…means ‘beauty,’ and ‘zahn,’ ‘to decorate,’” and the name crystallizes the ensemble’s focus, as a “multi-national personnel…unabashedly promotes “beautiful” artwork to increasingly diverse audiences of contemporary sounds.” The ensemble has established itself with surprising speed, with performances at high profile venues like (le) poisson rouge, Bohemian National Hall, Italian Academy, Tenri Cultural Institute, a residency at the cell, and partnerships with Washington Square Contemporary Music Society, International Alliance for Women in Music, Austrian Cultural Forum New York, Open Meadows Foundation, New York University, New York Foundation for the Arts, I-Park, Goethe-Institute Boston, Villa Gillet (FR) and others. The ensemble is remarkable in its commitment to emerging as well as established composers. The group runs a programming space in Brooklyn and produces an annual festival; both platforms take much of their content from open calls for proposals, eliminating barriers to access while at the same time ensuring accountability in quality. To find out more about the ensemble’s activities, have a look at their website, soundcloud page, and the ample documentation of their performances available on youtube. Following a successful residency at the Center in March 2017, Ensemble Mise-En was invited as residenty ensemble to June in Buffalo 2018. As with many of the Center’s partnerships, the relationship with Mise-En is emerging to be a fundamentally collaborative, long-term one. 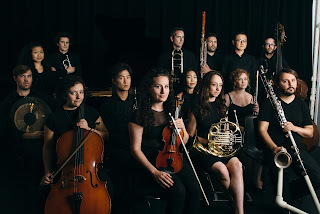 The group’s visit to the Center in 2017 was not merely a one-off “gig,” but planted the seeds of deeper partnerships between the ensemble and the Center, including not only the ensemble’s appearance at June in Buffalo, but their performance of works by Center graduate student composers such as Meredith Gilna, Matt Sargent, Weijun Chen, and Su Lee. This approach in turn positions the guest ensemble not merely as a hired contractor but as a crucial collaborator, and, more importantly, advocate for the important work the Center is doing. It is in this context that the ensemble appears at this year’s June in Buffalo festival, where they will present two concerts. 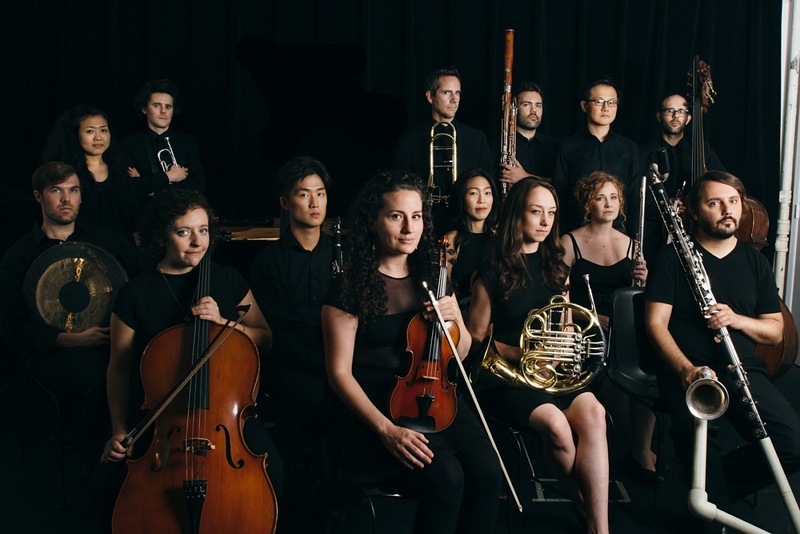 The ensemble performs works by participant composers on Wednesday, June 6 at 7:30 in Baird Hall, and works by senior composers on Friday, June 8 at 7:30pm. In the latter concert, the ensemble will perform Hans Thomalla’s moments musicaux (for flute, clarinet, piano, viola, and cello), Louis Karchin’s As the Circle Opens to Infinity (for flute, clarinet, trombone, piano, percussion, violin, and cello), and Roger Reynolds’s Shadowed Narrative (for clarinet, piano, violin, and cello). All three works have distinctively extensive and thoroughly worked out formal structures—in the case of the Reynolds, a sequence of four contrasting movements. Center audiences may remember the Reynolds piece, played expertly by the Antares Quartet on their guest concert at the Center in 2012. Mise-En’s second concert will feature works by participant composers selected from the festival’s recent call for scores, which drew submissions from multiple continents.